Ann Squire Wildlife & Equestrian Art: Living Fossils,Dragon fly and Ammonite. 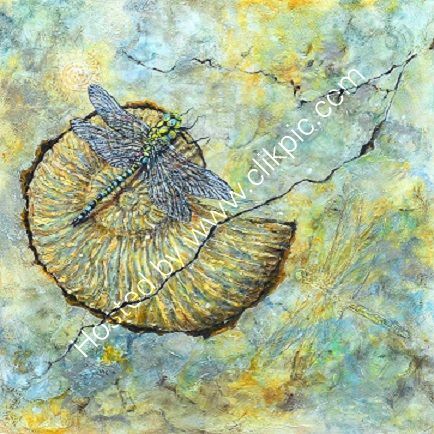 Painting of a dragon fly with Ammonite Fossil. Painting Sold. Small prints available. printed on Hahnemuehle 300g fine art paper, Hand signed mounted and covered in Acetate ready to frame.